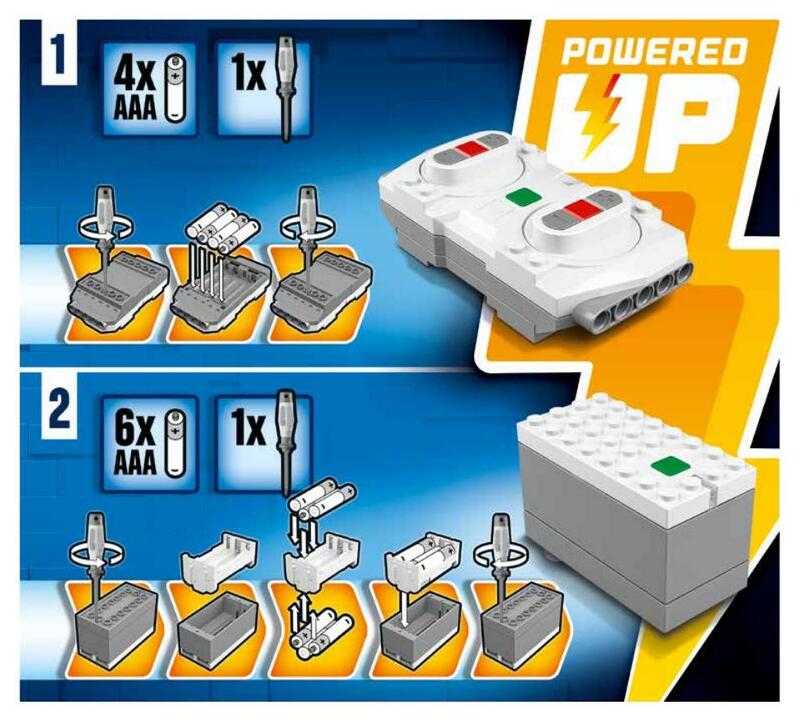 How many and what kind of batteries are needed for LEGO Powered Up? I'm considering picking up one of the Powered Up train sets. What kind of batteries does the included Powered Up remote control system use? The current line of Powered Up components uses AAA batteries. The Powered Up team has indicated that both regular or rechargeable batteries should work fine. Not the answer you're looking for? Browse other questions tagged trains powered-up or ask your own question. What kind of metal/alloy were on the old LEGO 9V train tracks? Does my child need a smart device to control LEGO Powered Up train sets? How do I connect the LEGO Powered Up remote control? What is the range of the LEGO Powered Up remote control system? What electronics are inside the LEGO Powered Up hub? Has anyone tried putting the Powered Up system in the Christmas train?